I got a little excited and ripped through the gift wrapping the second I got this so the shoddy wrap job I promise is not how it comes wrapped, but I used the same paper and bow. Next time I will exercise more restraint and take the pictures pre-violent unwrapping! I was kindly contacted by Old Factory for a chance to review this Candle Gift Set and I immediately jumped on the opportunity. The set I chose to review was the "Coffee Shop" collection which contained three candles in the scents Coffee Bean, Hazelnut, and Chai Tea. These candle gift sets are all curated from a specific theme and contains 3 different scented candles. They can burn for up to 20 hours and they are hand-poured in the USE with a natural soy wax, that means no horrible puff of smoke once you blow them out! These sets are sold exclusively through Amazon and I've listed all of them below! So let's get into the specific set that I got! 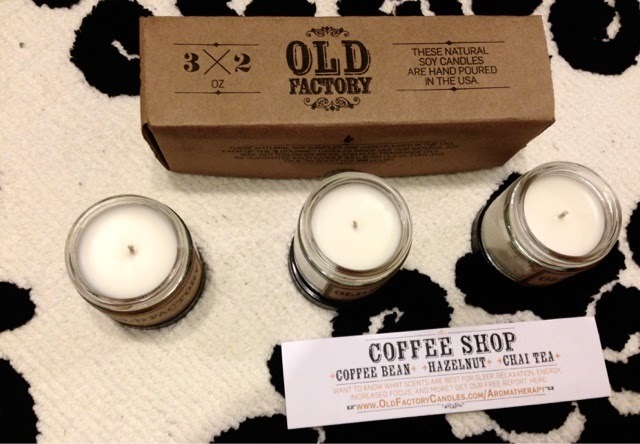 When it comes to soy candles you expect the smell to be virtually nonexistent but not these! Each candle had a distinct and accurate scent to them and when they burned the smell distributed evenly in a medium size room. They really got the scents down for these three candles because without looking at the label everyone I quizzed was able to accurately guess what they were suppose to be! I'm a huge Chai latte fan so the Chai Tea candle is what hooked me onto this set but I must say that Hazelnut is my favorite scent! I love the minimalistic packaging that are these candles and how there are no added artificial coloring. 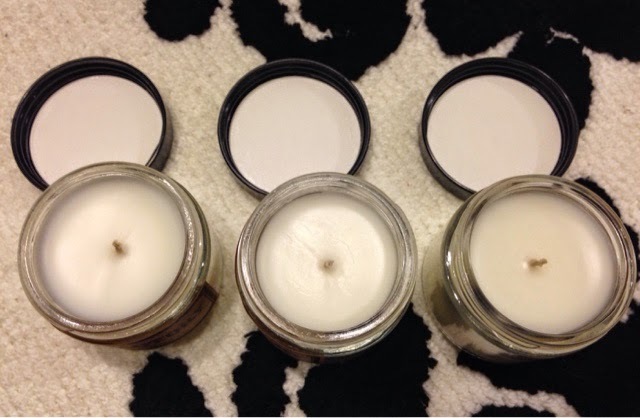 White rooms are a popular trend lately so these candles would work perfectly with that theme! These smaller candles, the jar is a little larger than a standard jar of baby food but I think they are the perfect size for storing little items once the candles are burned out! They come with screw top lids that feel a little loose but are definitely secure. My only complaint when it comes to the packaging is that the labels seem a little cheap. The label on the bottom of the jars with the scent names are clearly not custom fitted because they are just barely sticking on because it does not adhere to the shapes and ridges correctly. I opted for the gift wrapping option when I was sent this product in order to assess how that would look. I apologize for the weird lighting, my camera was picking up on the ribbon and so everything came out a lot more yellow. 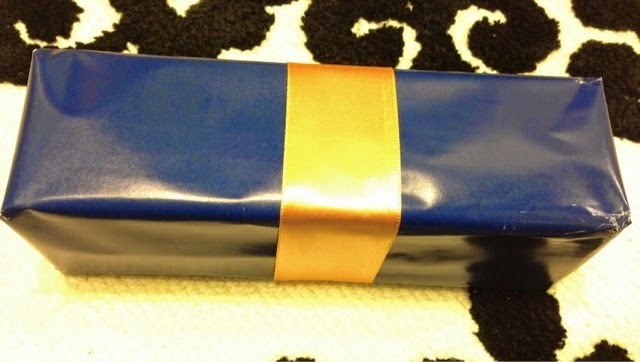 When gift wrapped the box is wrapped in a standard dark blue paper with a thick goldenrod ribbon wrapped around it. It's nothing to write home about but it's a nice touch if you were bringing these candles as a gift. Overall I think this is a great gift set at the price of $25 for three candles and they are appropriate for a wide range of occasions. I'm very pleased with the set I chose and I can't wait to use them!